As Client Relationship Specialist, Patti is responsible for interfacing with clients on a regular basis and providing administrative functions and asset management support for our team of advisors. Patti assists clients with their day-to-day account needs, communicating with custodians, and maintaining appropriate documentation and records. 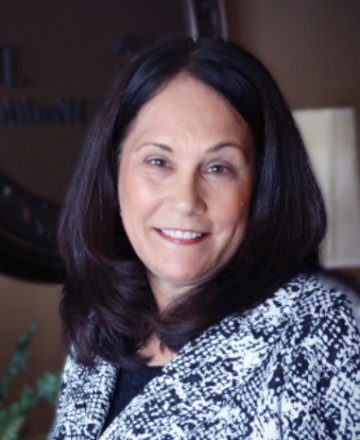 Bringing over 25 years of banking industry experience, Patti joined JFS Wealth Advisors in 2008. During her banking career, which included mergers between McDowell Bank, Integra Bank and National City Bank, Patti gained knowledge and experience in various areas, including bank operations, customer service, trust services, and commercial lending, while assisting clients with their various financial needs. She continues to expand her knowledge with JFS Wealth Advisors by attending Charles Schwab and TD Ameritrade conferences along with personal development seminars relative to her current role. She attended Penn State University and supplemented her banking career with banking and accounting classes. Patti resides in West Middlesex, PA with her husband, Jerry. In her spare time, you may find Patti on the golf course or watching college football, cheering on the Penn State Nittany Lions, with her husband and grown son.